It is a fairly well-known fact that the current state of the addiction treatment industry is overrun by a number of unethical treatment providers and questionable business practices. Patient-brokering, shoddy or non-existent clinical treatment practices and underhanded internet marketing tactics have become front page news in many areas, all while the country finds itself in the middle of an addiction pandemic that has families and loved ones of those suffering in crisis searching for treatment options. Such questionable practices prey on families in crisis, realizing that it is easy to capitalize on fearful parents and terrified families who simply are trying to make sure their loved one is able to access life-saving treatment. Although there are many high quality, ethical providers in the addiction treatment space, it can often be difficult for a family or parent to know how to separate the good from the bad, the quality treatment providers from the chop shop owners and how to recognize what program best fits the comprehensive clinical needs of their loved one suffering from addiction. One of the first and most important things to notice about a treatment provider is: Do they list their staff and the credentials of their staff on the company web site? Is there even a staff listed at all? A good giveaway of a questionable program is having no staff listed on the treatment center web site or simply the listing of ownership or management staff but no clinical staff. This is important because it is the clinical staff that will be providing the treatment for the individual in need. Some treatment centers will simply list one or two managers or directors, but no clinical staff. This can often be a clue that the treatment center is not employing a full time clinical staff. There are many stories of parents sending their children to a treatment facility that ends up employing two or three part time therapists for fifty, sixty or more patients. That is not a treatment center. That is shoddy attempt at providing as few clinical services as possible in order to collect insurance money. Parents and loved ones should stay away from such facilities. When a parent or loved one calls a treatment center looking for help, they should expect to receive direct, concrete answers to their questions. Questions such as “How much will the cost of treatment be for my loved one?”, “What does a typical clinical day look like?”, “How will you address my loved ones needs exactly?” and “What will the plan be while my loved one is in treatment to make sure they are set up for the best chance of success after treatment?” Answers given should be direct. A family should always know how much treatment will cost before their loved one is admitted. Parents should know what the expectations of their child will be while they are in treatment, what the expectation of the family will be and what they can expect from the treatment provider. One of the ways questionable providers avoid answering such questions are with vague or generic answers or using treatment industry buzzwords and phrases like “individualized treatment” or “We do DBT/CBT/trauma” or “We meet the patient where they are at.” Parents and loved ones should be able to receive direct answers to their questions and if the person answering the phone doesn’t have those answers, parents or families should be able to speak to someone that does have those answers like a primary therapist or member of the management team. Additionally, patients, parents and loved ones should always be either invited into the facility or have the option to come tour and meet the staff before agreeing to enter treatment. You are placing the life and well-being of your loved one in the hands of that treatment center so you should know them firsthand. If a treatment center does not make such an offer or are not agreeable to such a meeting, move on. Also, in terms of transparency, avoid treatment facilities that promote themselves through generic web sites using buzzwords but that don’t say anything directly about the clinical care. Web sites filled with stock photos, web sites that do not specific clinical details or that lack detailed information but promote what insurances they can accept are not being transparent and should be avoided. One of the easiest ways to get patients through the front door of a treatment center is for the center to explain to the parents or family all the nice amenities available to their loved one while at that treatment facility. Things like single rooms, king size beds, big screen TVs, a pool, massages and other high end amenities are points of emphasis used to distract parents and families away from what’s important, the actual treatment and clinical services or in this cases typically the lack thereof. Now, amenities are nice and it’s great if they are available at a strong clinically-driven program, but they hold absolutely no weight in terms of helping a patient identify and overcome their addiction. They are simply window dressing to entice patients through the door. What is most important is what will happen clinically with a patient while in treatment. Parents and families need to be inquiring about the therapy, the counseling, the family treatment options, the clinical programming and overall clinical philosophy of a facility. Every addiction treatment program should have a clinical philosophy that they operate under, so parents and families should ask what that clinical philosophy is when they call a facility. Unsurprisingly, many facilities don’t have one. This is at best a generic way to operate and at worst, a program that isn’t invested in patient care. Stay away from such treatment facilities. A treatment facility can have amazing amenities, but they only mean something in terms of quality if that treatment center also offers high quality, comprehensive clinical care. One of the biggest ways facilities attract patients is through online advertising and marketing. Google “treatment in [any state]” and see what comes up in the results. Invariably you will find a number of out-of-state facilities typically show up at the top of the listings. Usually this is because a facility is dumping a ton of money (sometimes hundreds of thousands of dollars a month) into online marketing and advertising. Sometimes the best option for a patient in need is an out-of-state facility. This could be because of clinical needs, a specific specialty or the need to move away from their local area, however it’s important to remember that the age old saying of “so and so needs to get out of their local area in order to recover” is not necessarily true. Sometimes it can actually be a detriment because it removes the patient from their family and makes family involvement in treatment that much more difficult. Family involvement in treatment is vital in order to treat both patient and their family unit. After all, addiction is a family disease so in order to offer the most comprehensive treatment a treatment center needs to do as much as possible to also treat the family. Additionally, many unethical treatment providers do not even list their location on their web site. Why would this be? There is no location listed, sometimes it’s just a toll free number and a place to write in insurance information to have benefits verified. This is not transparent nor does it speak to high quality care. One of the biggest trends in addiction treatment is facilities listing all the levels of care they offer on their web site. However, they are not listed as clinical programs but rather by levels of insurance coverage. “We offer residential, PHP, IOP and outpatient.” That may be true, but it’s important to ask questions such as “If you’re a 30 day residential facility, why are you listing PHP or IOP levels of care?” If a treatment center promotes themselves as primary treatment (typically 28 or 30 days), why would they offer services reserved for extended care or aftercare? What that really means is if a patient admits to their facility and the patient’s insurance benefits stop covering residential treatment short of the intended 30 days that facility will then begin to charge the patient’s insurance at lower levels of care. That becomes a problem for necessary aftercare planning, because the insurance coverage may have already been used and the insurance company will refuse to cover all or portions of necessary aftercare treatment. This is extremely problematic as it is well-known and evidence-based that in order to set up a patient for the best possible recovery outcome, a MINIMUM of 90 days in treatment is necessary. So if a facility is using up all of a patient’s insurance benefits for a 30 day stay, sometimes that patient will not be covered for the necessary longer term care and therefore the patient suffers. Additionally, again going back a program’s clinical philosophy, why would they list their programs in terms of insurance levels of care rather than from a programmatic standpoint? A strong quality clinical program will never let insurance coverage dictate length of stay for patients in their program. Finally, if a residential program is promoting other levels of care, parents and families should ask what that looks like, meaning is the PHP or IOP or outpatient still conducted on the same residential campus? If so, that’s a red flag, as the clinical purpose of a PHP or IOP program is to transition a patient from residential to a level of care where they are back integrating into everyday life and learning to use the tools learned in residential treatment into their early recovery. A PHP or IOP program should have a level of “real life” integrated into the treatment philosophy. If everything is done “on campus”, away from society, how is that beneficial to the patient? Today in the addiction treatment field it is popular to promote a treatment center as being everything to everyone. “We treat addiction, dual diagnosis, eating disorders, trauma, the LGBTQ community and offer residential, PHP, IOP and outpatient treatment as well as abstinence-based and medically-assisted treatment.” Not every place can be everything to everyone and it is simply a marketing tool to attract patients through the admissions doors. An ethical, quality treatment provider will tell you what they do well, why and how they do what they do at a high quality and refer you to someone else if they are unable to clinically handle certain issues. Places that claim to be everything for everyone should be examined further and often avoided. 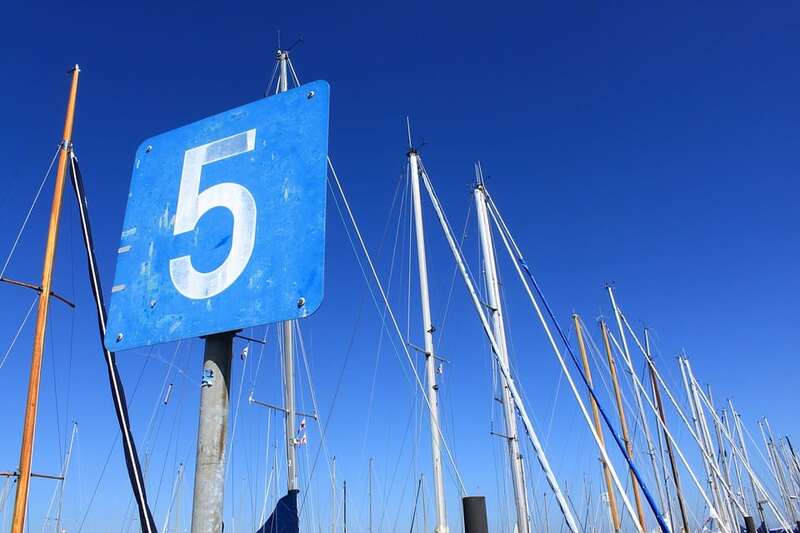 These are simply five general guidelines to follow for parents and families when searching for addiction treatment for their loved one and red flags to avoid if found during that research. Some other red flags of unethical or illegal behaviors are generic web sites that may seem to offer treatment but aren’t an actual treatment center and that don’t list location (often sites run by patient brokers), generic addiction helplines claiming to have experts evaluate callers and then place them at treatment centers across the country they “work with” (these are either web sites selling patient leads to treatment centers or are owned by a treatment center posturing as being an objective help line, with people answering the phones with no clinical expertise or credentials) and treatment centers that offer to pay for flights to out-of-state or offering to simply waive insurance deductibles without doing a thorough financial vetting process in order to offer an actual scholarship for those in need. Parents and families searching for treatment for a loved one need to do research and their own due diligence. Make sure they truly understand the treatment center they are choosing. Do they feel comfortable with what they’ve been told? Is it clinically appropriate to meet the needs of their loved one? Have they toured the facility and met the staff? Has a long-term plan been mapped out for their loved one while in treatment and for post-treatment? These are the questions that need to be answered before blindly sending a loved one to a facility whose job is it support and treat the patient during a life-saving process. There are many high quality, ethical treatment providers nationwide but parents and families must take the same dedicated approach into finding the best addiction treatment facility as they would if their loved one was diagnosed with any other life-threatening medical issue. We do not send cancer patients to doctors or hospitals based on buzzwords and shiny web sites and we cannot allow parents and families to do the same when it comes to addiction treatment. Ask questions. Become educated. Get recommendations from professionals and other families that have dealt with the same issues. Make sure you absolutely trust the place you are sending your loved one too. Addiction is a life-threatening illness and the addiction treatment industry overall has failed in allowing unethical and illegal providers to offer less than best-in-class treatment options to those suffering. Parents and families deserve nothing but the best for their loved ones.